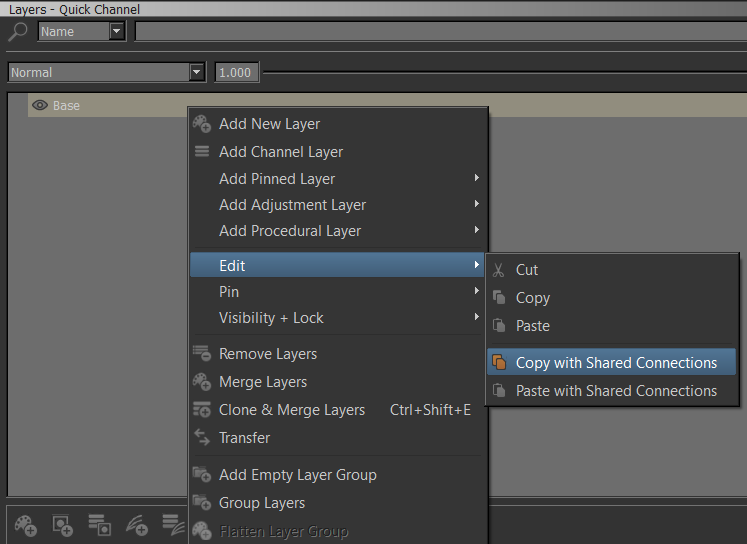 The Default Mari Copy and Paste to duplicate a layer selection in a different location does not respect sharing. The Mari Extension Pack Copy/Paste with Shared Connections rectifies this issue. in their mask and adjustment stacks, pasting layers may take several seconds to complete.